The Condominium Act, 1998 (the “Act”) requires condominium developments to be constructed to a substantial level prior to registration of the condominium plan. Title to a unit cannot be transferred until the condominium is registered. As a result, it is typical for condominium units to be ready for occupancy well before any sales can close. The Act permits developers and unit purchasers to agree that the purchaser may, or must, assume occupancy of the unit when it is ready for occupancy even though this is prior to registration and closing. This period of occupancy of the unit is called “interim occupancy”. When a purchaser goes into interim occupancy, the developer is entitled to charge a monthly fee. In the Act it is called the “occupancy fee”. 3. The projected monthly common expense contribution for the unit. The rate of interest that the Bank of Canada has most recently reported as the chartered bank administered interest rate for a conventional one year mortgage as of the first of the month in which the purchaser assumes interim occupancy of a proposed unit or is required to do so under the agreement of purchase and sale. A purchaser can avoid paying this component of the occupancy fee if the purchaser elects instead to pay the full balance (i.e., after accounting for deposits) of the purchase price owing on the date of occupancy. 1. If the municipal tax component paid by the purchaser is greater than the actual municipal tax assessment against the unit, such that the purchaser has overpaid since the date of occupancy, the developer is required to refund the difference to the purchaser. 2. If the municipal tax component paid by the purchaser is less than the actual municipal tax assessment against the unit, such that the purchaser has underpaid since the date of occupancy, the developer may require the purchaser to pay the difference to the developer. Note that it is mandatory for the developer to refund the purchaser where the purchaser has overpaid, but it is up to the developer’s discretion whether to require the purchaser to reimburse the developer where the purchaser has underpaid. The final component of the occupancy fee is the projected common expense contribution to be paid on account of the unit. 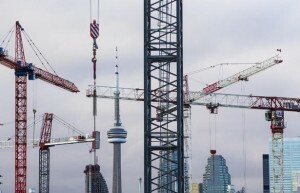 The projected common expenses payable on the unit during the first year of operation of the condominium should be clearly set out in the budget statement that is to be included in the developer’s disclosure package given to all purchasers of the units. Therefore, it should be easy enough to determine what this portion of the occupancy shall be. Typically, this portion of the fee will include an amount designated as a contribution to the reserve fund of the proposed condominium corporation. Although the whole occupancy fee belongs to the developer and not the condominium corporation, an exception is made in the Act with respect to that portion of the occupancy fee that represents the contributions to the reserve fund of the proposed condominium. This exception arises if interim occupancy lasts for longer than 6 months. If this occurs, then the amounts representing contributions to the reserve fund for each month after the sixth month are to be held in trust by the developer and remitted to the condominium corporation upon registration as part of its reserve fund. The above post is provided for general information only relating to interim occupancy fees. It is not intended as legal advice. Anyone requiring legal advice relating to any aspect of condominium law should consult competent and qualified legal counsel.